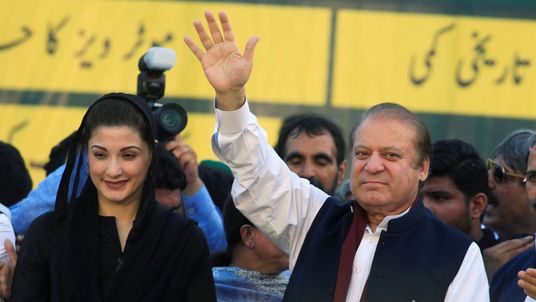 Former Pakistan prime minister Nawaz Sharif has been temporarily released from prison to attend his wife's funeral in London. Sharif and his daughter Maryam were jailed over undeclared income and the ownership of luxury flats in London in the 1990s. Sharif was sentenced to 10 years while his daughter was given seven years. She has also been released for the funeral. Both have said they broke no law and there was no proof the residences were purchased with money from corruption. Kulsoom Nawaz died from throat cancer on Tuesday after being in a coma for several months. She underwent surgery last year but her condition continued to deteriorate. Her body is due to be flown from London to Pakistan on Thursday.